Well done to our U14 and Minor Boys Footballers last weekend who defeated Cappagh in their respective leagues. Commiserations also to our Ceile and Set dancers who participated in the Ulster Finals last weekend in Galbally. This years title has a new home however they have all done our club extremely proud. Well done to Meave McSorley who represented the Club for Tyrone U16 Ladies who started their respective championship last weekend with a win over Down. Our U8 and U10 both where in Go Games action last Saturday morning at SPP and Gortin respectively. A great mornings football was had at both locations with both groups showing off their new white, black and hooped St. Enda’s kits. Well done to all boys involved including Coaches and Parents who travelled. Thank you to the host Clubs. There will be a Final Registration evening this coming Friday the 29th March in the Clubrooms between 8pm and 9.30pm for those who have yet to renew their membership. Condolences to the Rodgers and McKernan Families on the recent passing of Monica Rodgers, who was the clubs first Ulster Winner at Scór in Solo Dancing. 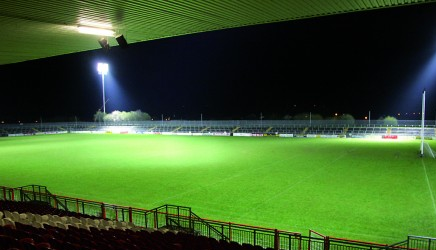 Our Club would also like to pass our condolences to the families of those who lost their lives on St. Patrick’s Night in the tragic events in Cookstown. We encourage any of our youth members affected by those events to contact the clubs Youth Officer or Health and Wellbeing Officer. The Summer Féile at Healy Park on Friday 23rd August was announced with Headline acts including The Wolfe Tones, The Fureys, Brush Shiels and Lochlin’s Bar. Next Weeks Jackpot stands at £2400. 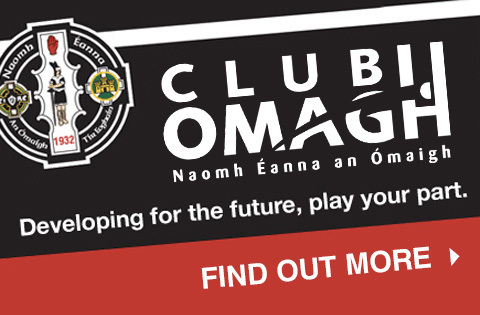 Our Online Shop is now Live and Orders can now be placed for any Omagh St. Enda’s Merchandise via our O’Neill Store. There are a number of items left in the Shop at Healy Park, including Players Shorts. Headline acts including The Wolfe Tones, The Fureys, Brush Shiels and Lochlin’s Bar. Tickets go on General Sale on March 29th from Joe Gallagher Entertainment, Jean’s Country Music Store Omagh and Ticketmaster.ie, Priced at £35.